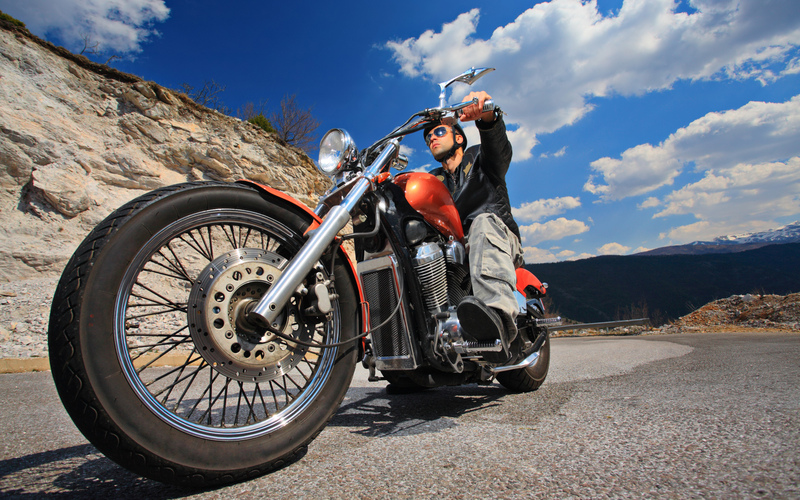 Why do you need a motorcycle license or endorsement? Though requirements for bike riders differ from state to state, there are no states that allow riding motorcycles on public roads without a valid motorcycle license. Even if a person holds a regular driver’s license and has many years of experience in driving various types of vehicles, he or she must obtain a motorcycle endorsement stamped in their DL. If a person has no DL and doesn’t drive any vehicle, but he or she would like to ride a motorbike legally, he or she has to earn a standalone license that is usually classified as a Class M license. Note that neither an existing driver's license gives the right to operate a motorcycle, nor a motorcycle license allows operating a vehicle. So, to operate both types of road transport you need a valid DL with a motorcycle endorsement. At intermediate stages, a motorcycle learner permit or temporary license can be issued to allow riding legally prior to obtaining a full license. Usually, some restrictions are imposed on a rider holding such a document, such as restricted nighttime riding, passenger restriction or in-jurisdiction only restriction. Passing a motorcycle practice test (it can include both on-site and in-city maneuvering). In many states, the scheme varies depending on an applicant’s age and skills. Some states require mandatory enrollment in a state-approved riding education course for minors and then impose some restrictions prohibiting riding under certain conditions until a person is of age. On the other hand, in some states both minors and adults can obtain a waiver from the DMV written exam and even from the motorcycle driving test if they completed a certified education and training course. Besides, sometimes a drug and alcohol awareness course needs to be completed prior to obtaining the license. SSN or a waiver from obtaining SSN. All the documents have to be submitted in the originals and it is usually required to provide several papers to prove each position. The list for minors also includes parental consents signed by their legal guardians. If the state requirements cover obligatory education and training courses, an applicant needs to deliver proofs of his or her enrollment or completion. If there is any kind of waiver from passing your test for motorcycle license, make sure it is properly provided to a local DMV, since some DMVs receive the waivers directly from training schools, while others want you to submit them along with the basic documents.